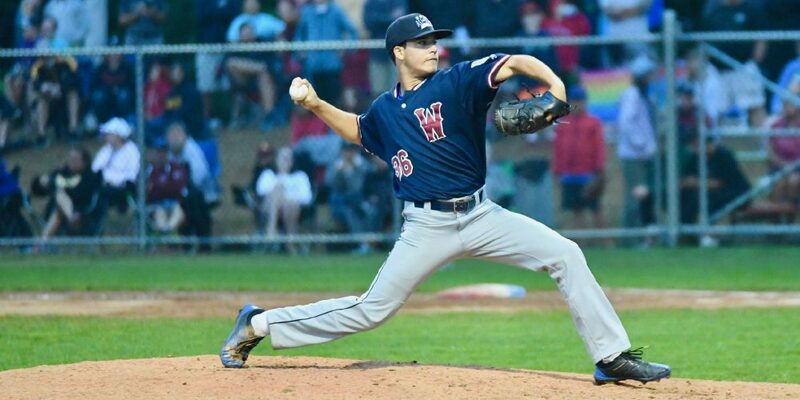 Reliable pitching and a balanced lineup helped Wareham capture the 2018 Cape Cod League Championship. As for draft prospects, there were plenty, led by several potential top round talents from the West Coast. Shenton just wrapped up an outstanding summer by being named MVP of the of the Cape Cod League championship series. In six playoff games he hit a scorching .522/.607/1.043 after slashing .349/.450/.490 across 44 regular season games. Strong bodied with a developed build at six-foot, 200 pounds. Defensively, possesses average actions and arm strength at 3B. Might be better suited for first base in the long-run. At the plate, Shenton has above average contact skills to go with an advanced hitting approach. Stays relaxed with an upright set-up before getting into a subtle, forward stride. Level barrel path through the zone that can generate hard contact to all fields. Stays connected during the swing and keeps hands inside of the ball. Rarely loses the barrel or lets hands get away from his body. Advanced college bat who could improve draft stock with more power production in 2019.